Controversial plans to build a new fire house in Aldie were dealt another blow Monday night when the county’s Historic District Review Committee unanimously denied two required applications. The county’s Department of Transportation and Capital Infrastructure filed for two certificates of appropriateness. 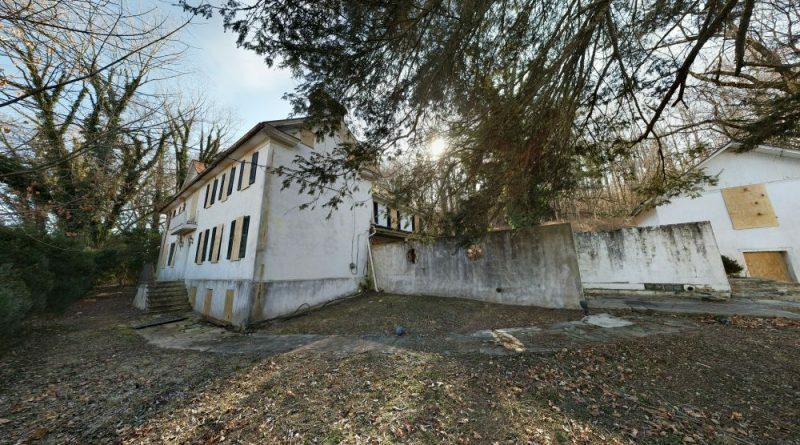 The first would permit the demolition of a non-historic garage and a cellar house that is deemed historically significant in the village’s historic district. The second would permit the construction of a 20,000-square-foot fire and rescue station on the south side of Rt. 50 in the center of the village. During the Feb. 11 public hearing, HDRC members, representatives of preservation and civic organizations, and village residents all agreed that neither action should be allowed and expressed exasperation that the Board of Supervisors was pushing to squeeze the building into the historic district. “I know the fire company needs a new firehouse. This is not the right site for it,” historian Wayne Saffer said, a view expressed by virtually every speaker during the session. The only accolades handed out during the session went to representatives of Sterling-based HG Architects, who had worked over the past several months on new designs for the station that would better blend with the surroundings while also dealing with the property’s floodplain, steep slopes and limited access points. While the new plans achieved the goal of allowing the village’s historic tavern building on the property to remain, HDRC members and other speakers raised concerns that the structure wouldn’t have access needed to provide a future use of the building. 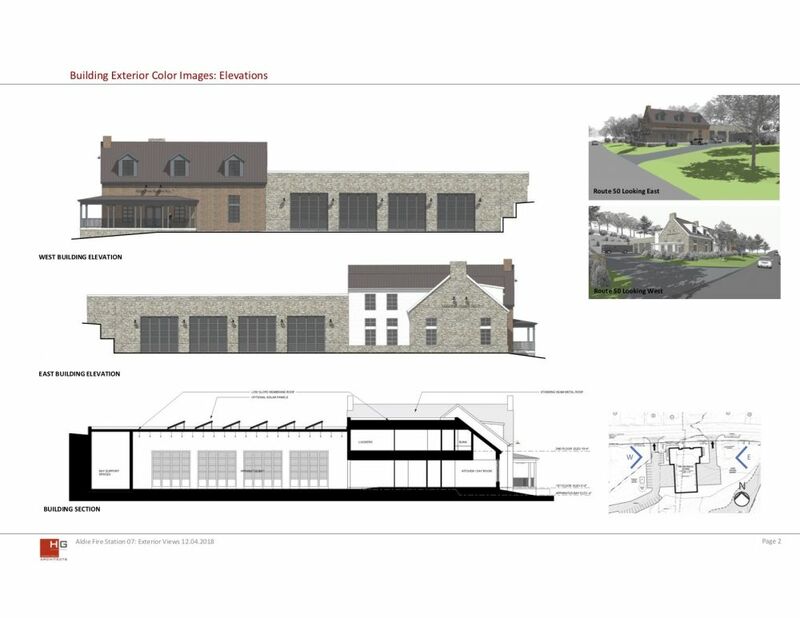 HG Architects worked with community representatives to come up with new designs for the Aldie fire station that would better blend with the surroundings while also dealing with the property’s floodplain, steep slopes and limited access points. Peter Hargreaves, the construction department’s design manager, did not defend the site selection for the project, saying that decision was made before he joined the staff. But he did offer hope that another location would be found. “The county has not stopped looking for sites. Hopefully, there is a site we can move this to,” he said. Two alternatives were proposed by speakers during Monday’s hearing. Stephen Price, chairman of the Mosby Heritage Area Association, urged the county to return to a property it originally bought for the project east of the village a decade ago. After the county paid $1.3 million for two residential lots, neighbors in the subdivision successfully sued to block construction of the firehouse there because it would violate the neighborhood’s covenants. Price suggested that the Board of Supervisors could use its power of eminent domain to overcome the restrictions and provide monetary compensation to the affected landowners. Another option was offered by area resident Jack Andrews. The longtime Loudoun developer said he had earlier proposed a design-build project on a 15-acre site at the southeast quadrant of Rt. 50 and New Mountain Road east of the village. He said the Board of Supervisors reviewed that option in closed session and rejected it. The current budget to build the fire-rescue station on the village site is $18.9 million. While the denial of the historic district permits would doom most projects, several HDRC members said they would work to make the project fit in the village as best as possible if the county board insists on proceeding at the location. If Aldie doesn’t want Co. 7, we’ll be more than happy to move it take it here in Leesburg South. Yes, move it to Oatlands or something. Run a call analysis and see where the most first due calls are. The Aldie community has done nothing but complain and object while their fire station continues to flood and be inadequate to properly house personnel. The “concerned citizens” let the tavern sit for years and rot away. Now that the County wants to put that land to good use they cry “it’s historical”. Tear the rat den down.